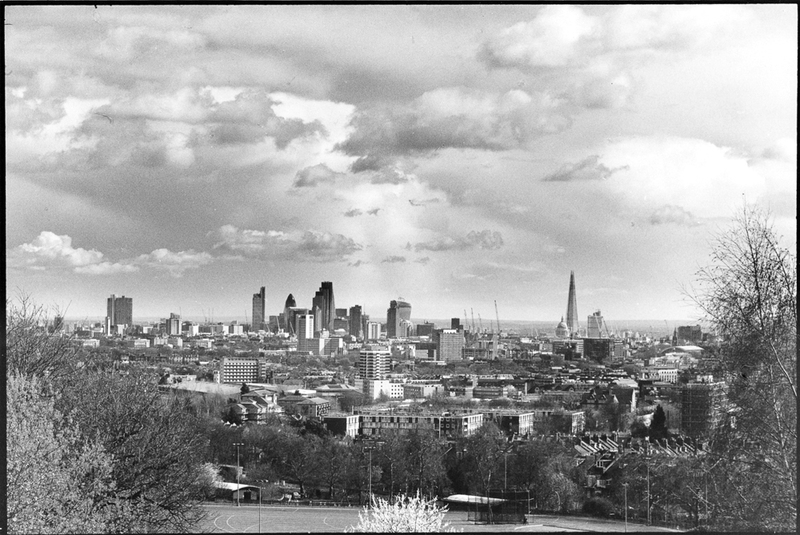 The View of the City of London from Parliament Hill, Hampstead Heath, March 2014. Analogue photography is a ritual. Film is finite, the number of frames on a roll are few. Therefore every exposure is precious. Once a negative has been selected to print, it is taken into the darkroom, a womb-like room where all that matters is producing a final correctly exposed fine art print.